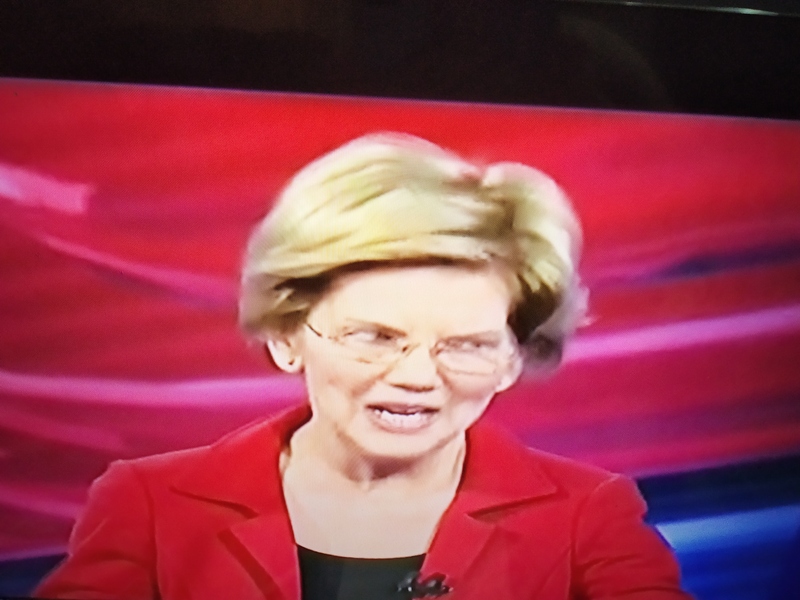 ” CNN Town Hall with Senator Elizabeth Warren – ‘ from divide et impera to entente cordiale ‘ ” – March 18, 2019. 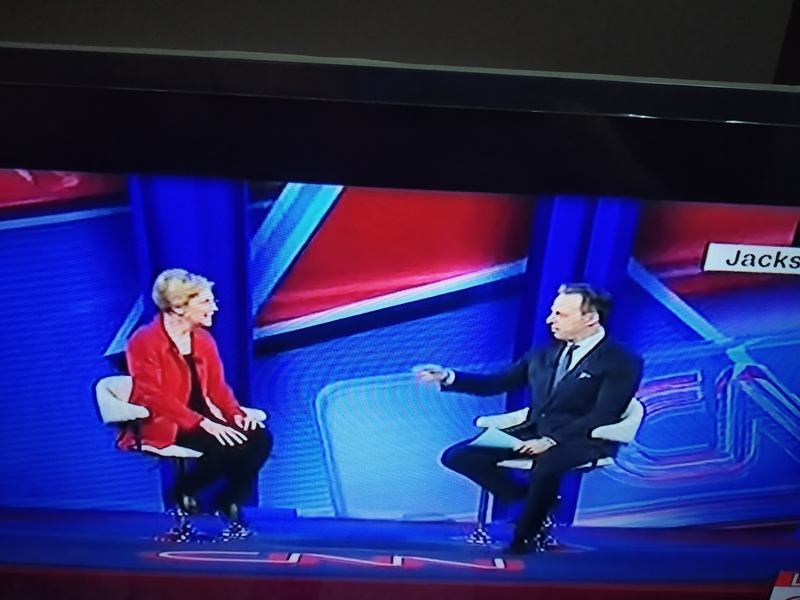 CNN Town Hall with Democratic Senator Elizabeth Warren tonight was held in Jackson, Mississippi, and Jake Tapper of CNN moderated the event. US Senator, Elizabeth Warren, known to be a progressive leader and academic, announced her candidacy for the 2020 US Presidential Election at a rally in Lawrence, Massachusetts, last week. The Town Hall witnessed questions from the audience and her responses were candid and precise. She seemed to promise less and do more, a key trait of good ‘Leadership’. The Town Hall audience posed questions on a range of issues : from immigration, safety & security, tax reforms, Climate Change, healthcare, education, military policy, unions and minimum wage. Strengthening Grassroot Foundation will make people stronger and confident ; Infrastructure Building will make things easier for Small and Medium Industries ; and Minimum Wage will make families to live peacefully – according to her. Her emphasis on Minimum Wage supporting a family is rooted in her own times at the end of tether when that ‘minimum wage’ for her mother came to her rescue and progress in school and further in life. Hence her determination to fight for Minimum Wage and not support concerns for the big profits of giant multinational banks. She also brought her intelligence to the fore through comparisons of George Washington’s words of what a decent minimum wage can do to a family as opposed to the Washington D.C.’s motif in enhancing the profits of big companies at the cost of common people. This was the impact making moment of the Town Hall. 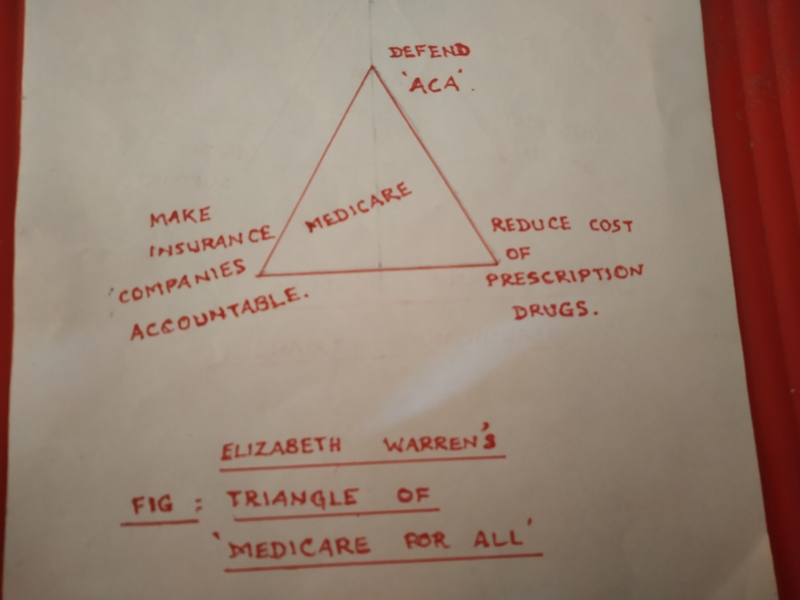 Healthcare for Americans is a basic Human Right and according to her, the Democrats are trying to expand the ACA while the Republicans are interested in repealing that. She strongly feels that improvements to the healthcare system is possible even without eliminating private insurance companies. Drug prices reduction, importing drugs from Canada, and encouraging generic drugs are some measures she advocates. Her chief message here is that the present system does not work for companies that want to drill ; the present system does not work for companies that want a prescription bill ; the present system does not work for companies that want to encourage workers and unions ; the present system works only for big companies in Wall Street. This needs to change. She is confident that Unions will help build American middle class and big investment in housing will spread the opportunity for making more people to become buyers. America is founded on the principles of liberty and freedom, and the impact of discrimination has to be faced head on and tackled. Reparation Conversations are essential to make the nation do what is right. 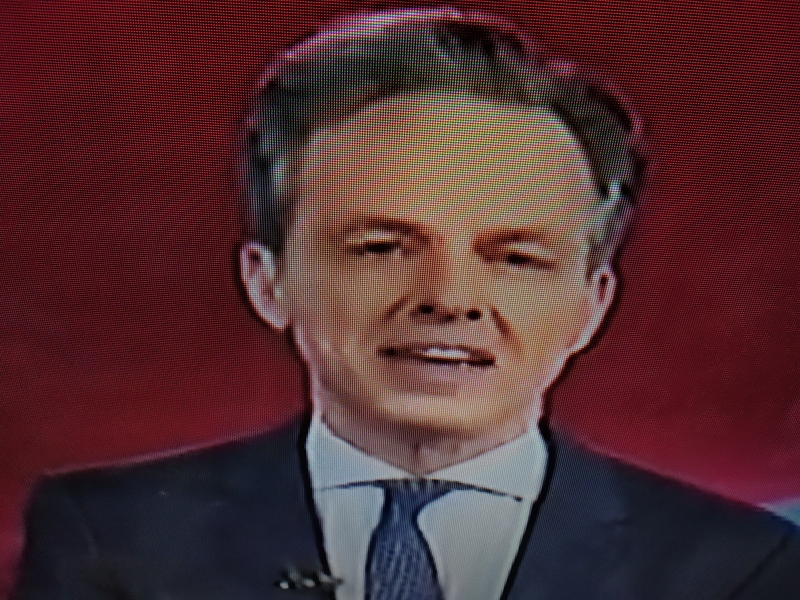 When the moderator, Jake Tapper, asked her to elaborate on a specific solution, the Senator cited ” Direct Financial Reparations to descendents of slaves without ignoring the problem ” as the best way to deal with it. This was one specific answer that emerged in this Town Hall. Senator Elizabeth Warren put that common people above the wealthy while answering every question in the Town Hall. Not one answer was left without loud cheers or resounding applauses from the audience. I have not seen this in any of the earlier 2020 Democratic U.S. Presidential Election Town Halls. 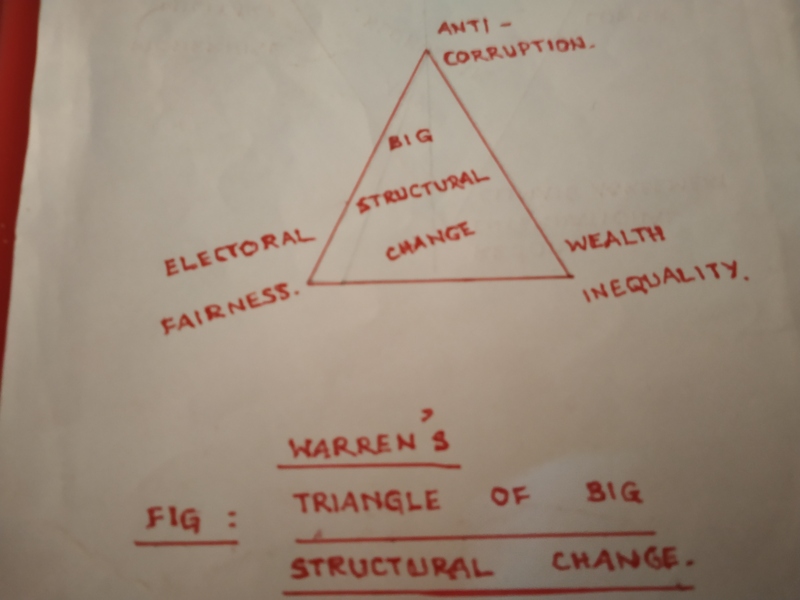 Senator Elizabeth Warren, as is her wont, touched the hearts and minds of the common people with her genuine concern for their lives on all the issues questioned – be it safety, education, healthcare, migrants, investment, minimum wage .. .. 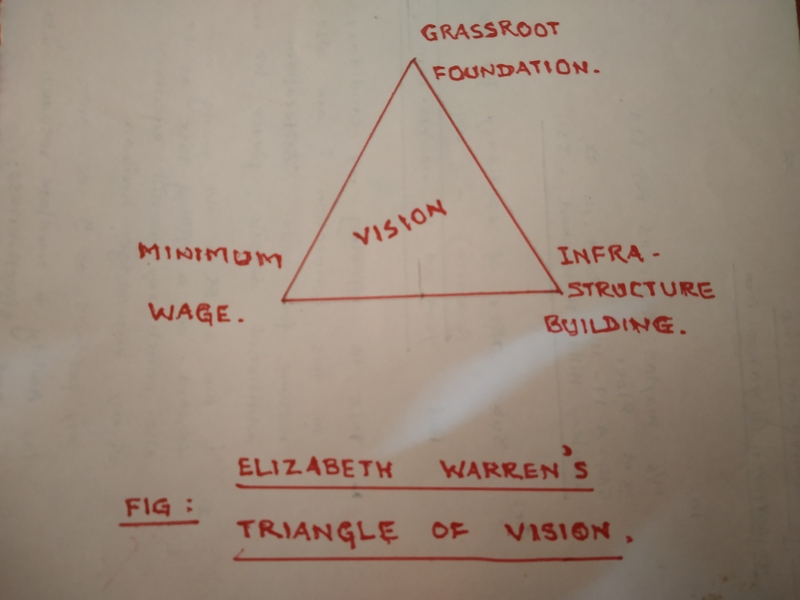 Senator Elizabeth Warren, in her answers, centred around programs towards the path of a “Supreme Nation ” she has been hinting on in her career. Will Senator Elizabeth Warren become the hero(ine) of the common people is what many would like to follow in the days and months to come. Tidbit : ” Few people have good enough sight to see their own faults “.